The Fiji Rugby Union has today released the names of the players to represent the Vodafone Flying Fijians in the five test series from June – July 2017. 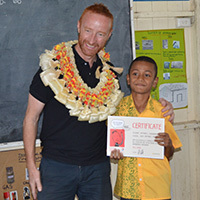 Vodafone Flying Fijians Head Coach, John McKee, believes that we have named a very strong squad to represent Fiji across the June and July Test Series. This will include the Tests against Australia, Italy and Scotland and the 2019 Rugby World Cup Qualifying Test matches against Tonga and Samoa. The Vodafone Flying Fijians will face Australia in Melbourne on June 10 then fly back home for their matches against Italy and Scotland on June 17 and 24 and then face Tonga and Samoa in the RWC Qualifying matches on the 8th and 15th of July. McKee says that he has named a large strong squad to ensure he has players available who have been playing top level rugby and are physically ready to play in the five test match campaign. “I am very pleased to be able to name a strong squad for our Test Match series across June and July. This series of matches provides us with a challenging test series and will allow us to see where we are on the world stage. 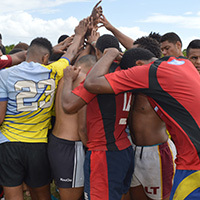 Each opposition will bring special challenges and I am sure with good preparation and hard work this group will come together as a very strong team to represent the country of Fiji with pride” McKee said. McKee added that he expects all players named in the squad to come to camp fit and prepared to work hard every day. 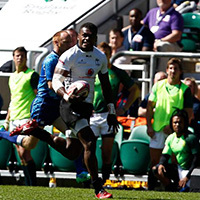 Many players are in top form and McKee says that they will need to be consistent and show this form when they march into the Vodafone Flying Fijians Camp. 28 players will travel to Melbourne for the Australia Test, while those that are involved in the France Top 14 and other European finals are expected to join camp in Fiji for the Italy and Scotland test matches.